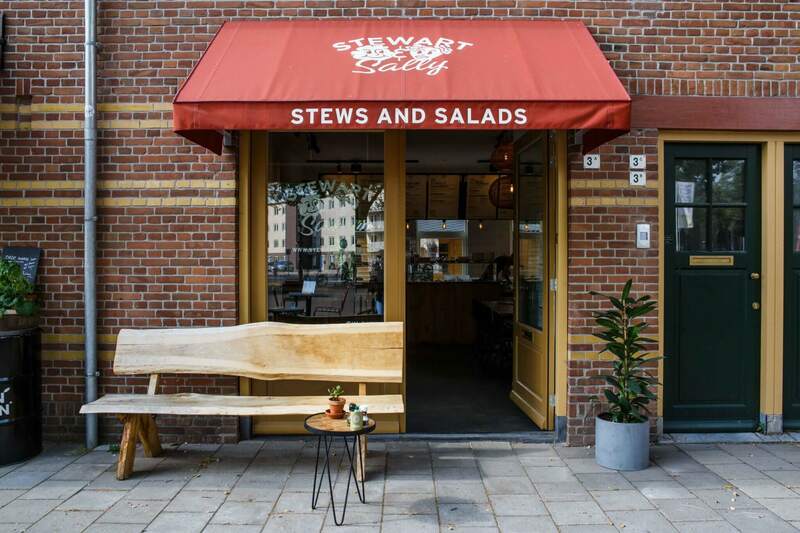 Stewart & Sally’s first location was in an old green shipping container in Amsterdam south. 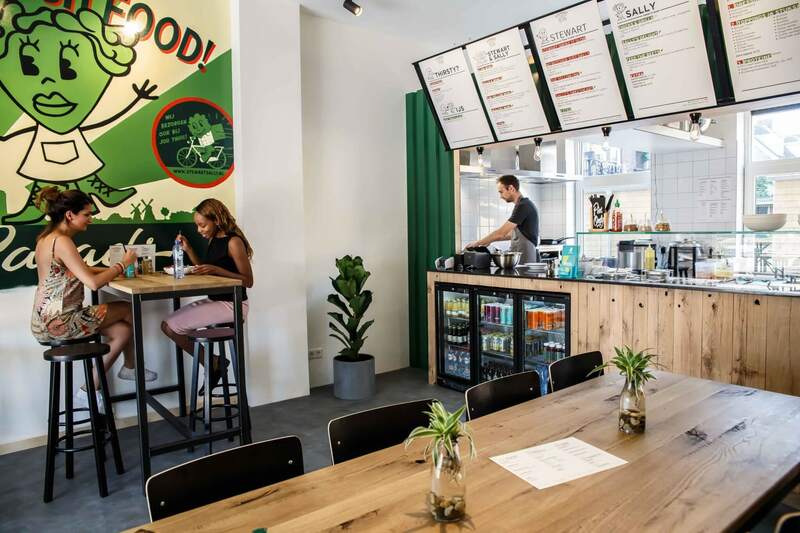 With just some simple seats and tables but very good stews and salads it became an instant succes for all the people working in the office buildings within Amsterdam South. 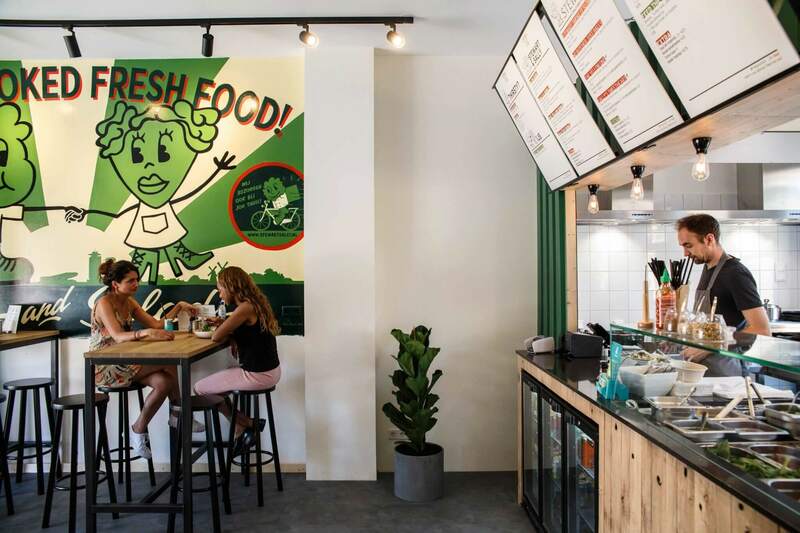 With the wish for a second location in Amsterdam North Standard Studio was asked to help with the interior design of the new place. 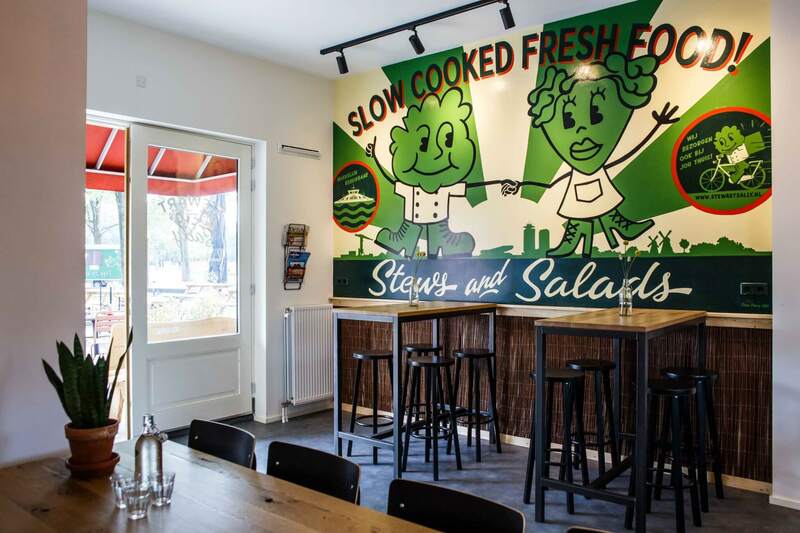 The first location in Amsterdam South has such a strong identity and outdoor feeling that it adds to the brand experience. 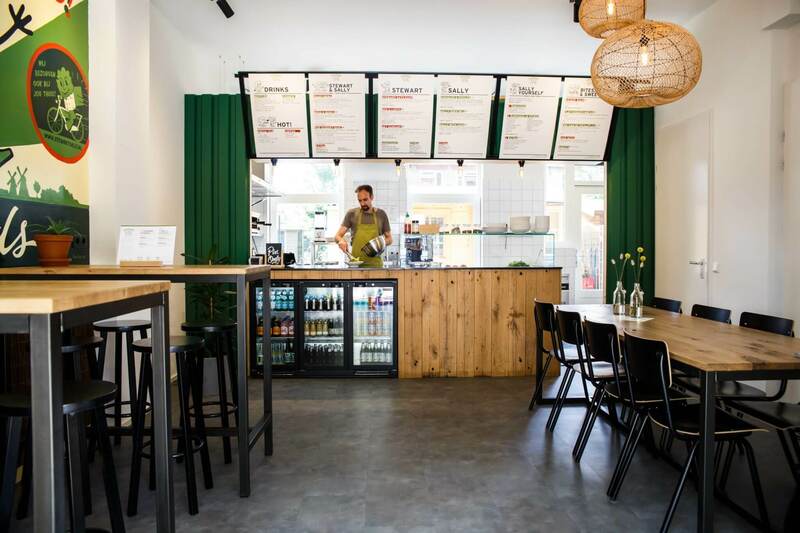 Standard Studio aimed to create that same outdoor feeling only then inside the new location.